The Apprenticeship Levy has been around for almost two years now, but only a small percentage of the funds have been used. It's clear that some organisations still aren't sure what the Apprenticeship Levy is and how it can be used. We hope you find our content insightful and helpful, but if you have any questions about the Levy or Apprenticeships, please get in touch. The government aims to fund three million new apprenticeships in England by 2020. The Apprenticeship Levy is a key part of this. The Apprenticeship Levy is calculated at a 0.5% rate of your organisation's annual pay bill. It's a ‘hypothetical tax’ that was introduced by the government in April 2017 to encourage employers to invest in training and development. Despite the Levy being introduced almost 2 years ago, the Department for Education has shown that of the £2.7 billion paid into the Apprenticeship Levy by UK employers, only 14% of the funds have been reinvested so far. This tells us that organisations still don’t really understand the Levy, how they can access it, or how they can use it to get maximum ROI. Time is running out for employers, as funds deposited into the Levy fund are only valid for 24 months. If you still don't fully understand what the Levy is, or simply want some help and advice, employers can use training providers registered on the Register of Approved Training Providers (RoATP), such as Hawk Training. The providers will be able show you how to unlock the Levy fund, explain how to use it, and get maximum ROI. Are you paying into an Apprenticeship Levy pot? If you’re an employer and your annual wage bill is above £3,000,000, then you have been paying into the Apprenticeship Levy through a payroll collected monthly through PAYE. If your organisation had a wage bill of over £3,000,000 from the introduction of the Levy (6th April 2017) you will have been generating a Levy pot for almost 2 years. 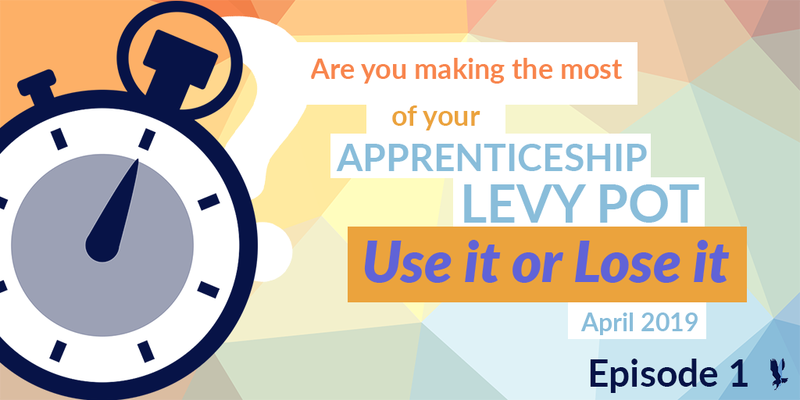 To see how much you pay into the Apprenticeship levy, use this calculator. The money you have accumulated in your Levy pot can be spent bringing in new talent, or upskilling your existing employees. For employers with a yearly wage bill of less than £3,000,000, the Apprenticeship Levy still affects you. You may not be paying into a Levy fund, but currently when a non-Levy paying organisation hires an apprentice, they contribute 10% of the training costs, and the government funds the remaining 90%. Does a Levy fund expire? Yes. Levy funds are valid for 24 months after they enter your digital account and cannot be refunded. For example, if you paid in at the start, 6th April 2017, your Levy funds will expire on the 6th April 2019. If you don’t use it, you will lose it. Your digital account works on a first-in, first-out basis. So, you will use the funds that first entered your digital account automatically when a payment is taken. If you think you match the Levy paying criteria, i.e. your wage bill is over £3,000,000 annually, you can easily check how much you have built up in your Levy Pot. The Apprenticeship Service (AS) is an online portal to select Apprenticeship programmes, training providers and process payments. You can register your account here: https://manage-Apprenticeships.service.gov.uk/. Please let us know if we can support you with setting up your account. Once your account is set up, you can spend your allowance to train new or existing employees, with a government approved training provider, such as Hawk Training. It's important to realise that there is more than one way to use your Levy fund. At Hawk, we currently help employers over a range of industries unlock their Levy in a way that best suits their needs and gains the highest ROI. Our business development team are happy to discuss the best methods of unlocking your Levy, give us a call on 020 8891 0992. The Apprenticeship Levy was introduced in April 2017 to encourage employers to invest in training and development. Employers with a wage bill of £3,000,000 or higher make monthly payments (0.5% of their wage bill) into their Levy fund. Employers with a wage bill of less than £3,000,000 are also affected with the funding model changing in May 2019. Your Levy funds will expire after 24 months, and are non-refundable. Employers can use training providers registered with the Register of Approved Training Providers (RoATP), such as Hawk Training, to unlock their Levy Funds. In our next article, we will be discussing some of the common myths surrounding the Apprenticeship Levy. To have it delivered straight to your inbox, subscribe to our blog.